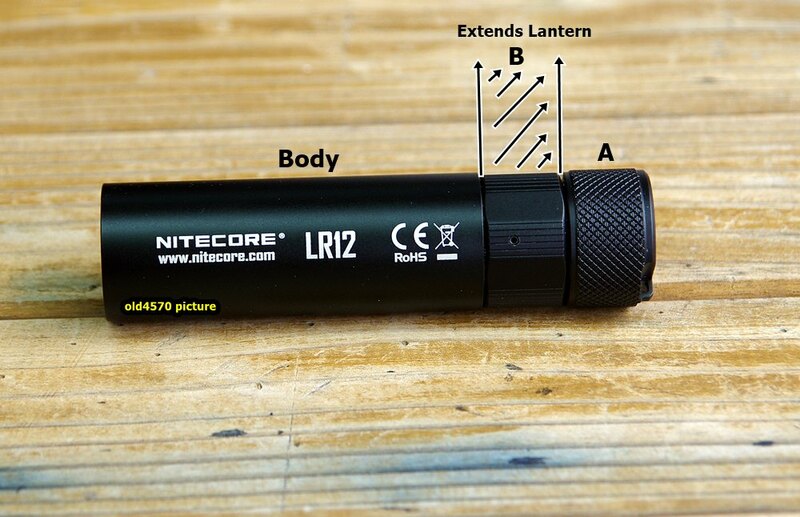 For review I have the Nitecore LR12 , a 5 Mode ( Low - Medium - High - Turbo - Beacon ) 1000 + Lumen flashlight with a inbuilt retractable lantern . The mode of operation is the near bullet proof twisty action with no mode memory . The light always starts in low and works it's way up to Turbo and then Beacon mode . To extend the inbuilt lantern just twist the tailcap to turn the light on and keep twisting till you have extended the lantern . You can chose how much of the lantern you want to extend as there is no impedance to the function of the light . You can extend the lantern as much or as little you want to suit your needs . The more you extend the lantern the more it impacts on spill . Yes you can actually have the lantern extended and still use the LR12 as a flashlight . This is why I am so impressed with the LR12 , you can extend the lantern as much as you want to help make you visible in the dark but still use the LR12 as a flashlight . The lantern head makes you so much more visible to say Vehicle traffic on a dark busy road and in doing so increases your safety factor . It has been wet and dark and woolly here recently ( Winter is almost here ) making it much harder for cars to see pedestrians . In fact when I am out walking it is almost impossible to see other people until you are almost on top of them . And it's circumstances like this that make the LR12 a valuable asset . 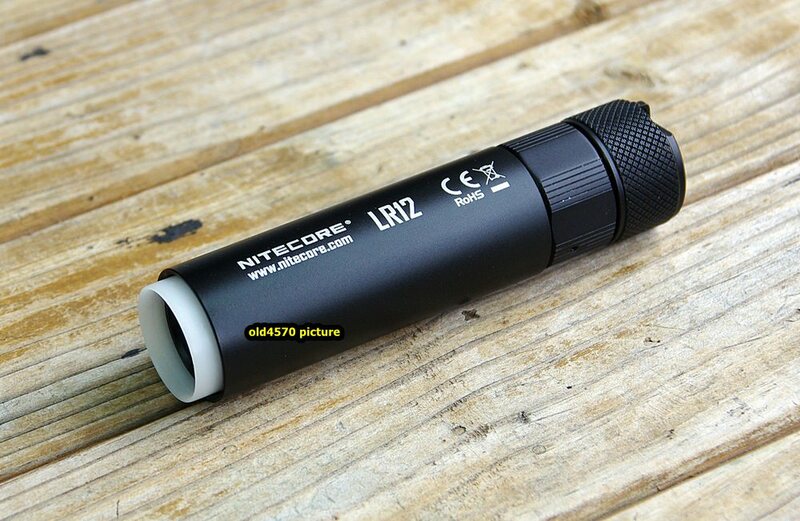 I really like the simplicity and function of the LR12 , it is as near bullet proof as you can make a flashlight as well as performing so many functions by the ingenious incorporation of the retractable lantern . 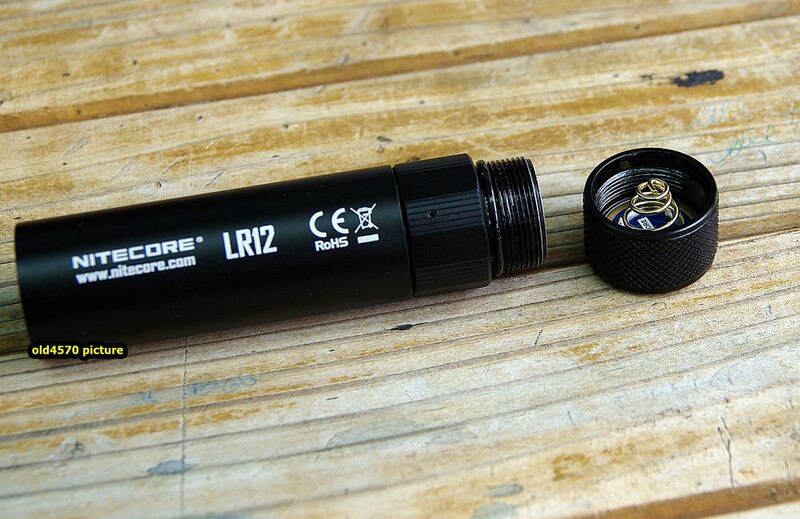 And as with other Nitecore flashlights the LR12 incorporates a magnetic base so you can put the LR12 in places , like under the hood of the car if you have engine issues or just for extra light on a dark day . The lantern head ( besides being a lantern ) can be used like a traffic wand , it can be a warning beacon ( in beacon mode ) . The uses just boggle the mind , just of the top of my head - walkies - skiing - boating - emergencies - and your imagination is the limiting factor . Geez ! , just remembered . I would have liked to have seen a larger lanyard hole . Something large enough so you could fit a Rock Climbing Carbineer to the light . ( Would have been nice ) . I really love the idea behind this light , it's is brilliant in its simplicity and function and yes I think it can be improved upon . 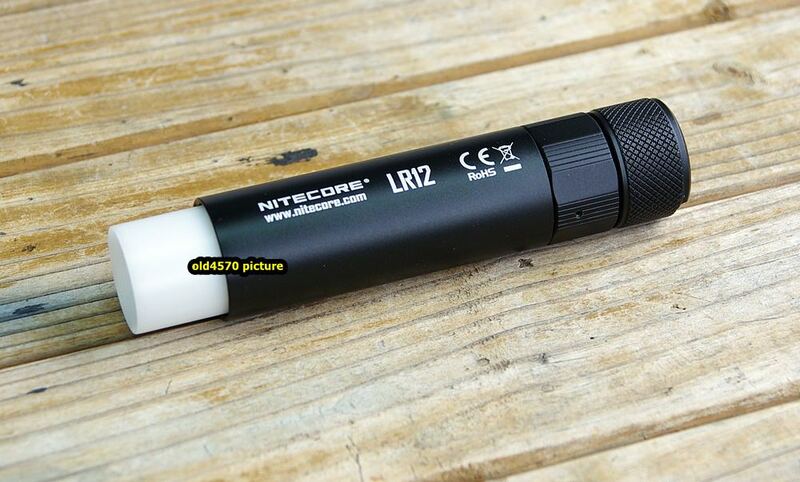 ( Nitecore Needs to take the LR12 to the next level - simply too good an idea ) . Battery used is a 18650 Sanyo ( Don't recall the capacity ) Red Wrapper . Damn straight those numbers don't match ! And I think it's because of the safety features built into the driver . 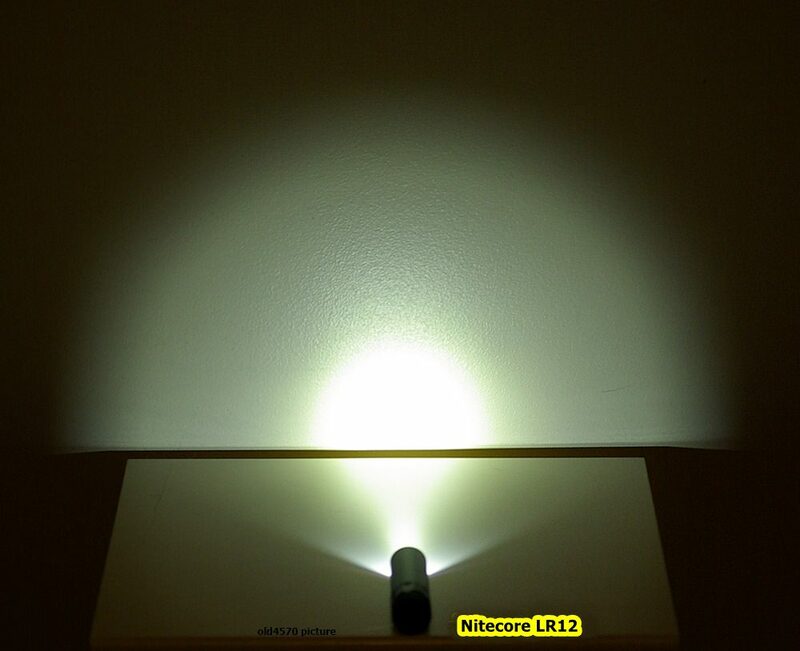 So when the light detects something is NQR it lowers the current to a SAFE level . So when I try to get a current reading with my MM I am triggering the safety . So best to disregard the current information ( or quite possibly double it ? ) and just go with the output and maybe go to the cree data sheet and do some math . And yes on Turbo I got over 1200 Lumens in my light box . I think Nitecore is really understating output , and with so much variance in battery performance , maybe it's a good thing to understate performance a little . As delivered , I like the LR12 . 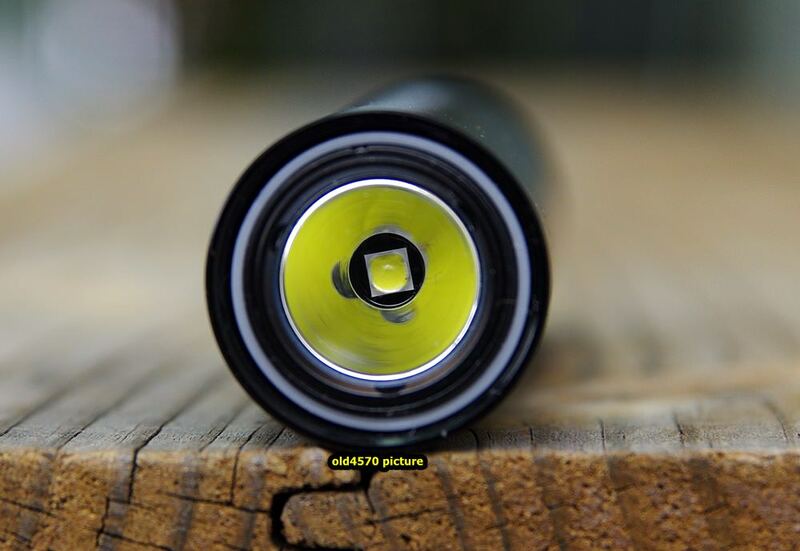 It is very EDC able , the twisty action is just about bullet proof and the extendable lantern is just Gravy . 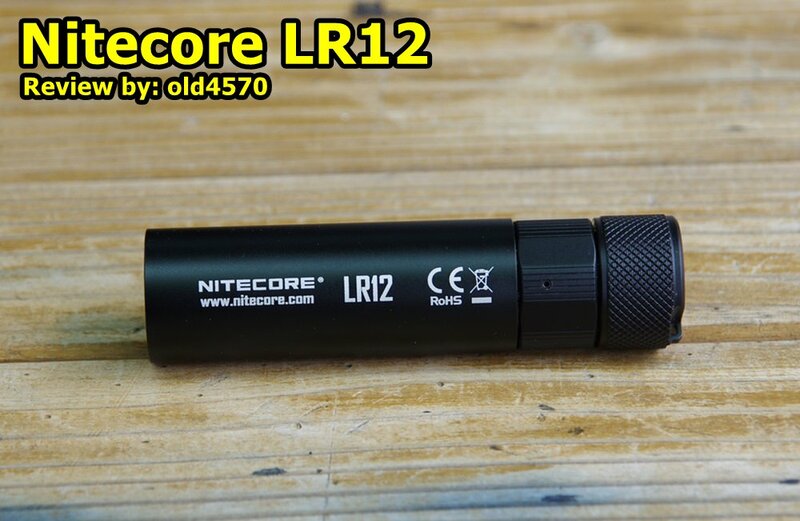 Yes the LR12 can be improved upon and I sincerely hope that Nitecore takes this concept to the next level . The LR12 deserves to serve those that can see the versatility in the concept . I am impressed . Not everyone may appreciate the LR12 and that's ok , there are plenty of flashlights to chose from these days . And I would admit that if I were shopping for a flashlight the LR12 may not have been detected by my radar , which in hindsight ( and some first hand experience ) would be a crying shame . I am torn between giving the LR12 a 9 or 8 out of ten , so I may have to split the difference and go 8.5 / 10 . So I am deducting points for the small size of "B" the part of the body for extending the Lantern , as well the tiny lanyard hole . The LR12 is almost perfect , so close to being all it could be . 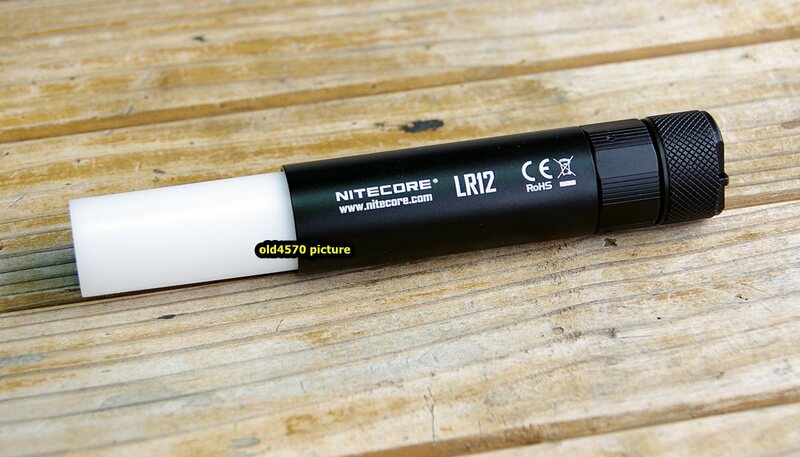 I would like to thank Nitecore for sending the LR12 for review - It really impressed me I have to tell you .